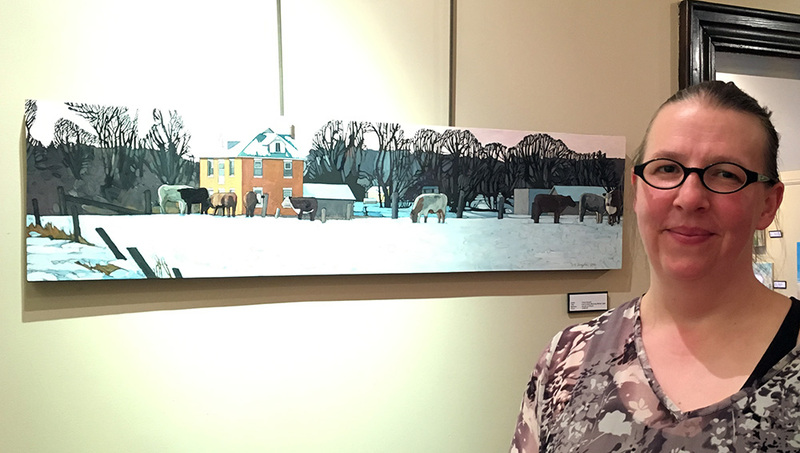 The Minto Arts Gallery’s annual juried exhibition is always an incredibly diverse mix of mediums, styles and subjects, with featured artists from across Ontario. The MINTO ARTS COUNCIL is pleased to announce the Forth Annual Juried Art Exhibition Awards Ceremony on Thursday May 17th from 6:30 pm to 9:00 pm. More than 42 art pieces have been selected from a total of 69 pieces submitted from artists across the province. Find out which pieces the three judges chose. For an edition of 10 or more in etching, engraving, mezzotint, relief print, woodcut, wood engraving, or silkscreen. Digital or photography prints accepted. Wesley Bates studied painting and printmaking at Mount Allison University. He works full time as a printmaker and letterpress printer under his own imprint at West Meadow Press in Clifford, Ontario. 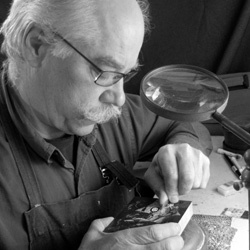 His wood engraved prints have been exhibited in China, Spain, Japan, England, the U.S.A. and Canada. he is presently at work on a word-less graphic novel illustrated entirely with wood engravings. 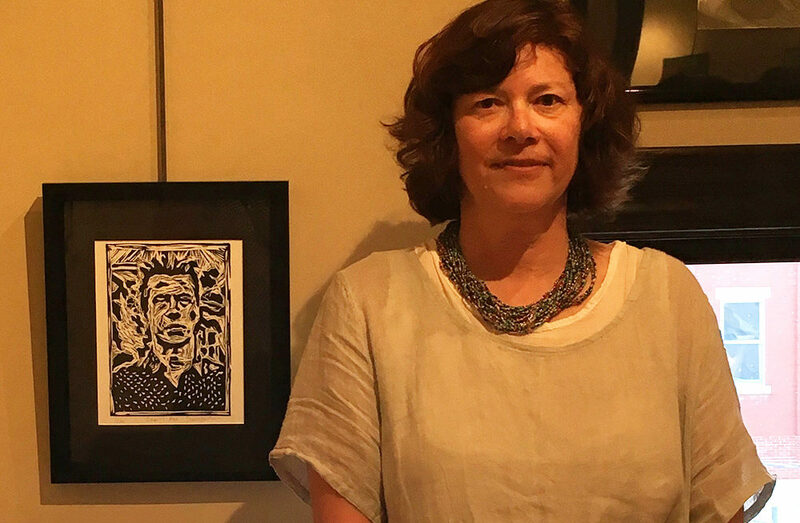 Bates has taught printmaking and illustration at the Dundas Valley School of Art, Sheridan College, Woodstock Art Gallery, St. Michael’s Printshop, Vancouver Museum, Cincinnati School of Art, University of Lexington and Larkspur Press. 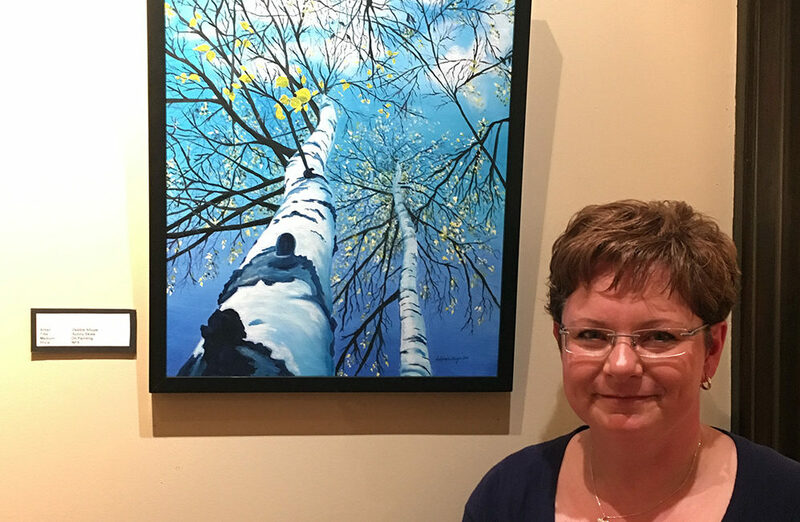 Originally from Toronto, Karen is a multi-disciplined artist living and working in rural Ontario. An international award-winning lettering artist and type designer, she is now following her varied passions and producing more unconventional pieces of art which combine strong design and original techniques with influences from architecture, her rural surroundings, and positive and negative space. 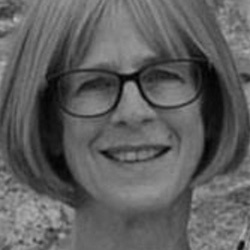 Brenda is a marketing consultant with a BA and MA from the University of Waterloo in English and Fine Arts. 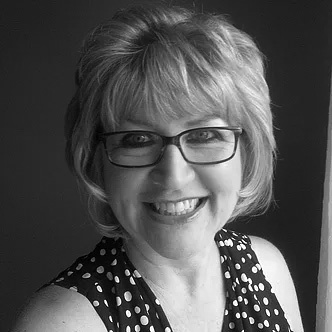 She is the founder of the Art District Gallery, the founder of Urban Sketchers Waterloo Region, and she is the Communication Direction on the board of Urban Sketchers. Brenda teaches workshops on perspective and drawing techniques privately and at the Button Factory and Homer Watson Gallery. This call for entry is open to all artists living in Ontario. All works submitted must have been completed within the last five years and must be original works. Visual arts submissions can include either 2 or 3 dimensional art in multiple disciplines and mediums. Some consideration may be given to slightly larger pieces, however this will be at the discretion of the Minto Arts Gallery in consultation with the jurors and will depend on available space. Please submit your entries as follows: Do not submit original work to jury. Only JPEG’s on CD or USB will be considered. No slides or photographs, please. JPEG images should be no larger than 3mb in file size. A maximum of 3 works of art may be submitted. Up to 3 views of three­-dimensional works may be submitted. Image files must be named with a number at the beginning of the file name (eg: 1artworkname.jpg). A corresponding printed list of files should accompany the CD/USB and include for each piece the artist’s name, title, date, size of work and whether the piece is for sale and price. The Jurors will review the digital submissions received in order to short list the entries to be included in the show. This means that not every item submitted will be included in the show. A non-refundable fee of $30 for artwork entered (for a maximum of three works) must accompany the entry form. This will also cover your membership at the Minto Arts Council. Please make cheques payable to: Minto Arts Council, Box 760, Harriston, ON, NOG 1ZO. CDs/USBs with a completed and signed entry form and entry fee must be sent to: Minto Arts Council, Box 760, Harriston, ON, NOG 1ZO. All entries must be received no later than 5:00 p.m. on April 2, 2018. The jury’s decision is final. No entry may be withdrawn once it has been accepted. Successful artists will be notified of the jury’s decision by April 13, 2018. CDs and USBs will only be returned if accompanied by a self-addressed, stamped envelope with sufficient postage. All successful entries must be delivered, pre-paid, to the Minto Arts Gallery on: Friday, April 20, 2018 (1:00 – 5:00 p.m.) and/or Saturday, April 21, 2018 (11:00 a.m. – 1:00 p.m.). Entries that are shipped are entirely the responsibility of the artist. Please package artwork properly and securely to ensure safe delivery. No collect shipments will be accepted. All works must be ready for display. Providing technical equipment for new media works is the responsibility of the artist. Works must be picked up on: Friday, June 1 (1:00 – 5:00 p.m.) and/or Saturday, June 2 (11:00 a.m. – 1 :00 p.m.). 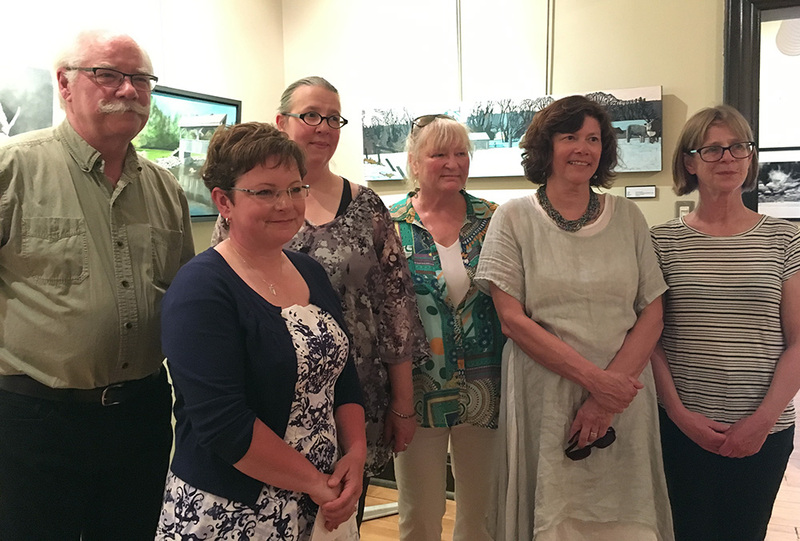 The Minto Arts Council will only assume responsibility for loss or damage due to theft, fire, flood or vandalism while the work is at the Minto Arts Gallery. Minto Arts Council will: provide basic Liability Insurance, and does not provide insurance for works of art or other property belonging to the Artist(s) or Exhibitor(s). If the Artist(s) or Exhibitor(s) require insurance, they must contact their own insurer and arrange an appropriate rider to their own Insurance Policy.